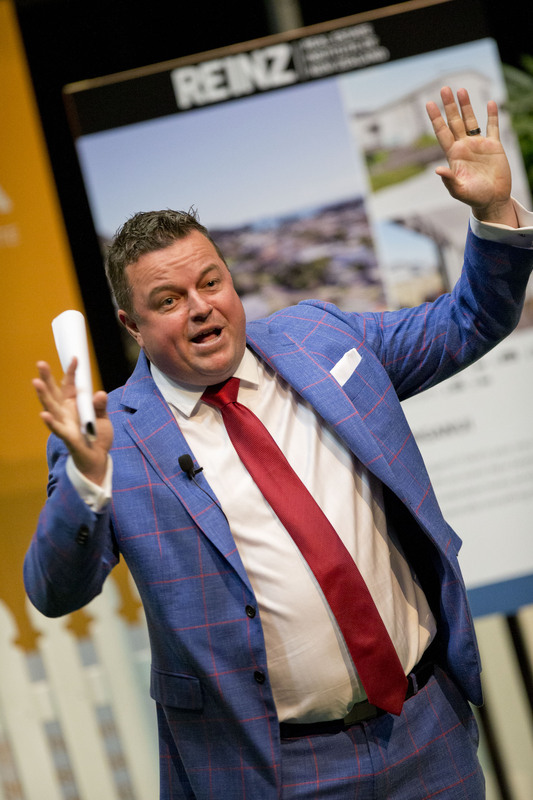 Finalists from Australia and New Zealand will once again battle it out for the title of Australasia’s best auctioneer at the 2018 Australasian Real Estate Institutes’ Auctioneering Championships today, with the winner to be announced at a gala dinner later tonight in Auckland. Pictured: Alec Brown, a finalist. Pictured: Mitch Peereboom, a finalist. Pictured: All five finalists (from L to R) Bronte Manuel, Mitch Peereboom, Andrew North, Alec Brown, and John Bowring. The Real Estate Institute of New Zealand (REINZ) is playing host this year, with the five finalists set to compete in Auckland from midday AEDT today. Yesterday, finalists from the Senior Auctioneering Competition, battled it out in heats for the top five positions in today's championship. Making up the finalists are Bronte Manuel representing South Australia, Mitch Peereboom of Queensland, Andrew North of New Zealand, Alec Brown of the Australian Capital Territory and John Bowring representing New Zealand. Real Estate Institute of Australia (REIA) President Malcolm Gunning says the competition is an extreme test of the auctioneers’ skill and ability and highlights the best the industry has to offer. Pictured: John Bowring, a finalist. Image by REINZ. “With two finalists, New Zealand look very strong,” Mr Gunning said. “Justin Nickerson of Queensland took out the championships last year for a second year in a row and the Kiwis want revenge this year. 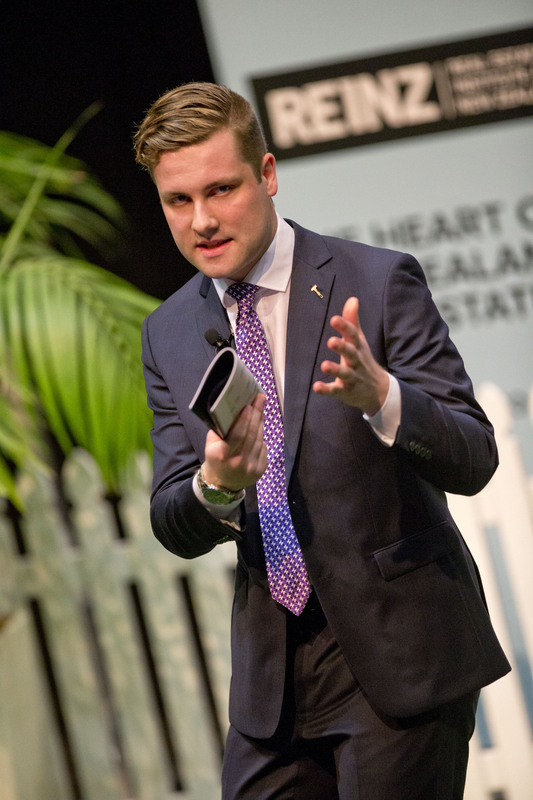 “They could just make it happen with NZ’s Andrew North a winner of the 2014 Auctioneering Championships. He does, however face strong competition from Bronte Manuel who was a finalist in 2017, while Alec Brown is the first representative of the ACT to make the final in its 20-year history,” Mr Gunning told WILLIAMS MEDIA. “The quality is truly exceptional and a great spectacle with participants creating momentum in the bidding, while building rapport with the crowd. Pictured: Bronte Manuel, a finalist. Image by REINZ. “Devised bidding processes test the Auctioneers' aptitude, attention and ability to think on their feet and to be successful, competitors have to deal with a wide range of testing questions and unpredictable bids. Combining skill, professionalism and technical knowledge, the candidates are highly accomplished, high-energy performers,” he said. The Australasian Auctioneering Championships host 22 auctions over two days, and is open to the public. The judges include Mark Sumich, David Lynch, Adam Docking, Andrew South, Bob Jury, Sabine Davidson, Jonathon Moore, Michael Walsh, Peter Burgin and Sandra Masters. Before the finals, the five finalists will be given details and a tour of a property to be 'mock-sold' in the auctions to decide the winner. The third Schools Auctioneering Championship will also be conducted between 9.30am and 11.00am AEDT today. Rose Elliott and Max Hart of Kerikeri High School, Russell will represent New Zealand. 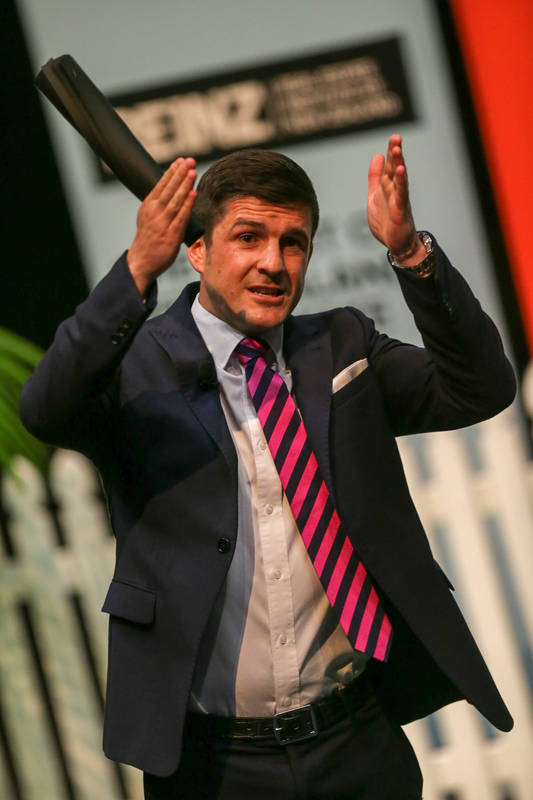 It's the first time New Zealand has been involved in the Schools Auctioneering Championships. Enrique Bisbal of Endeavour College and Vincent Doran of Underdale High School will represent South Australia and Conall Cassidy of Launceston Church Grammar School will represent Tasmania. The aim of the Schools Auctioneering Championship is to introduce students to the world of real estate making it a first choice career. Carlton Heres, previous winner of the Schools Auctioneering Championships in 2016, was one of the finalists who battled it out yesterday for a place in today's top five. Pictured: Carlton Heres. Image by REINZ. Winners of the Australasian Real Estate Institutes’ Auctioneering Championship and the Schools Auctioneering Championship for 2018 will be announced during a gala dinner to be held this evening in the Maritime Room, Viaduct Harbour, Auckland. The event is also being streamed on event partner Gavl from midday to 2.00pm AEDT. Click here to view more information about the 2018 Australasian Real Estate Institutes’ Auctioneering Championships.